“What excites me about the encaustic practice is that it requires you to exist so deeply in the moment—to be so entangled in emotion, embroiled in physical process, and so absolutely involved in creation—that all else leaves your consciousness.” ~ Annie Darling. Annie Darling is a renowned encaustic and mixed-media artist. Many of Ms. Darling’s works are abstractions of the natural world. Her use of the encaustic medium, involving heated beeswax combined with colored pigments, adds subtle textures and organic forms to the finished artwork. 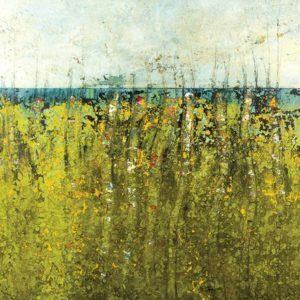 The Annie Darling Encaustic Art is available in artist prints and poster calendars.